LITTLE FERRY, NEW JERSEY, November 12, 2013 — Today, Eventide announced a new studio-quality microphone pre amp plus effects loop in a compact stompbox form factor. The Mixing Link™ fits neatly on a pedal board or in a backpack, making the wide world of guitar stompbox effects available to vocalists. “Our pedals were designed for guitar but most of the effects really work well for voice. The Mixing Link makes it rather easy for singers to connect to most guitar stompboxes and, with its high quality mic pre, it’s at home both on stage and in the studio,” said Tony Agnello of Eventide and Manifold Labs. 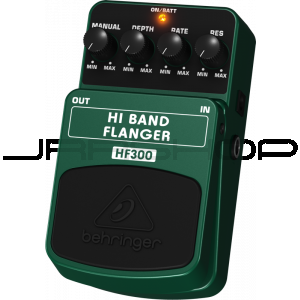 The HF300 effects pedal takes your guitar and keyboard to a new level by flanging one octave higher than normal, creating a much brighter and cleaner sound. 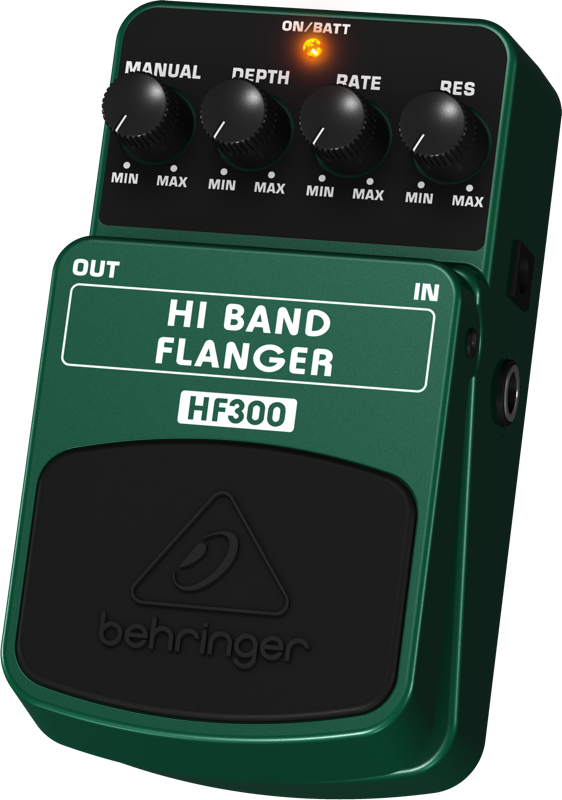 The HF300 features dedicated Resonance, Rate, Depth and Manual controls for awesome sound shaping. A cool blue status LED for effect on/off and battery check plus a first-class electronic on/off switch for highest signal integrity in bypass mode are included. The HF300 runs on a 9 V battery or a DC power supply (not included).